About two years ago, I decided to stop buying pre-made baking mixes and start making pancakes, muffins, waffles and biscuits from scratch. They tasted great, and I was glad I made the switch from store-bought to homemade. And then I discovered what buttermilk could do. I had some leftover buttermilk in my refrigerator from making Irish soda bread for St. Patrick’s Day and decided to use it to make pancakes. One bite was all it took to convince the whole family that we would only make buttermilk pancakes from then on. Out of curiosity, I added buttermilk to homemade muffins and biscuits, and the verdict was the same – delicious! Buttermilk really is like a secret ingredient when it comes to making baked goods from scratch. It is also key if you make your own Ranch dressing. There is a significant taste difference to the dressing if you use buttermilk instead of milk. It just tastes better and fresher and adds a deeper, richer flavor than milk in many recipes. What is buttermilk? It is the slightly sour liquid left over after butter has been churned. If you haven’t tried to make your own butter, there is a very simple process, and you can see for yourself what buttermilk is. This is a fun project for kids, as a way to teach them where their food comes from and how it’s made. The good news is that you don’t have to make homemade butter first. You can just buy it at the store. But, even better news is that you don’t even have to go buy it – you can make it with two ingredients you probably already have in your refrigerator. If you have milk and lemons or lemon juice on hand, you can make your own buttermilk and it will only take you a few extra minutes. Start with 1 cup of milk and add 1 Tablespoon of lemon juice. Let the mixture sit for 5 to 10 minutes. Voila! Buttermilk! If you don’t have lemon juice, you can also use 1 Tablespoon of white vinegar, and you can substitute heavy cream for the milk. Each variation has its own taste, but they all add more flavor than milk alone. If you buy a whole quart of buttermilk, it’s unlikely you’ll use it all up in just a few days. Stored in the fridge, it will remain fresh for at least 2 weeks after the printed date on the carton. You can also freeze it if you have any left over. If you want small portions, freeze it in an ice cube tray and then transfer the frozen buttermilk cubes to a container once they’re frozen. To thaw, put the frozen cubes in the refrigerator or heat it on a low setting. The buttermilk will need to be whisked or blended once it’s thawed, as the freezing process may separate the solids and whey. Start using buttermilk in old and new recipes! Read over your recipes and see if there might already be a variation for using this secret ingredient. 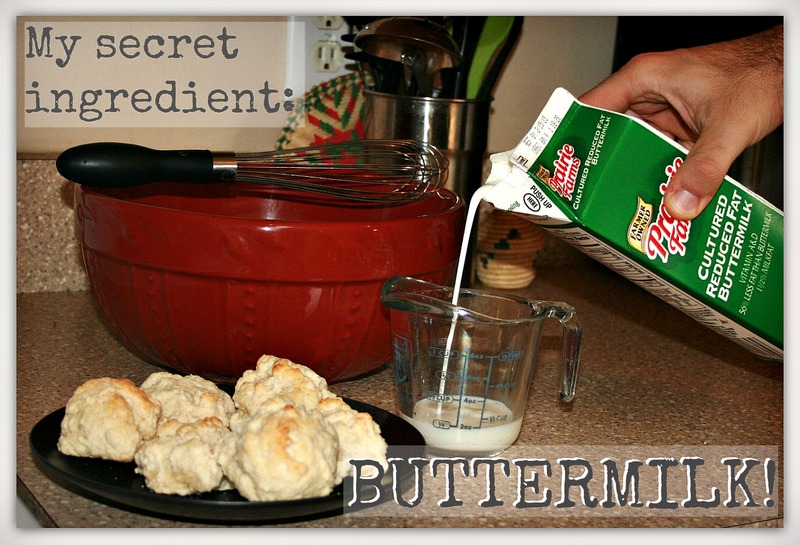 If there isn’t one and you want to substitute buttermilk for milk, add ½ teaspoon baking soda per cup for baked goods. Try it just once and you’ll never go back. Here are a few new recipes for you to try. Culture your own buttermilk starting with “store bought”. Put about 1/4 cup in a pint jar and fill with milk (skim, lowfat, whole). Let set on your counter overnight. By morning it will have cultured into a nice thinck buttermilk. Much better than the starter. I agree, Barbara. I belong to an ad network, and they tell me to inform them whenever ANY video ads play, since I’ve told them I don’t want them on my site. Some always manage to sneak through, though. Powdered buttermilk is a great pantry item too, I use it anytime I might use regular milk or buttermilk, and in some recipes that only call for water or broth. The small cans (#2.5) are a great size for the kitchen shelf, too.